Welcome to our blog featuring stories that highlight local seniors! If you, or someone you know, would be an interesting story to include on our page, please contact us and let us know! We can't promise to include everyone but we'd love to hear from you! Tuscaloosa, Ala. - - His eyes scan the ivory pieces on the table before him. His opponents anxiously await his next move. Calmly, Rev. 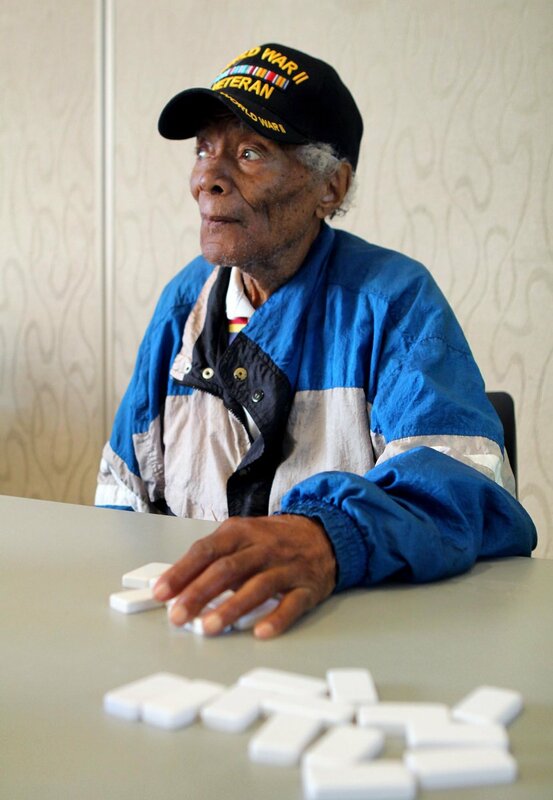 William Hughes, 100, places a domino in line. 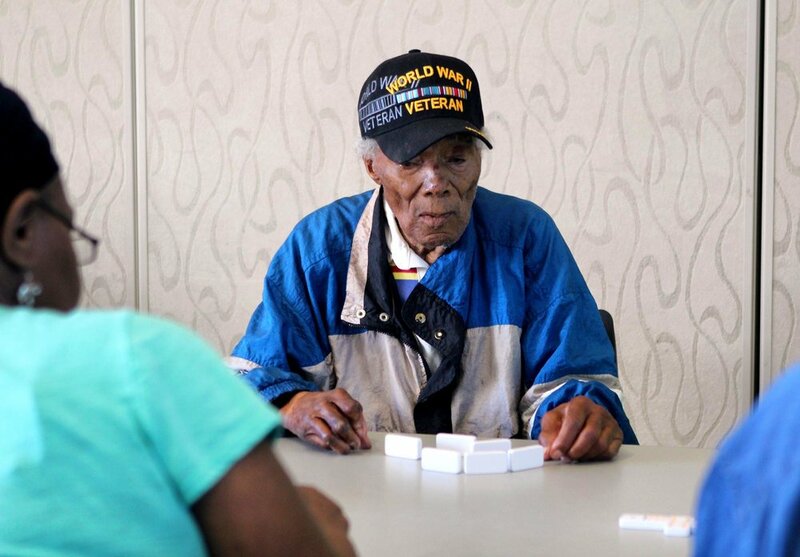 Over seven decades earlier he was playing the same game, however under drastically different circumstances. 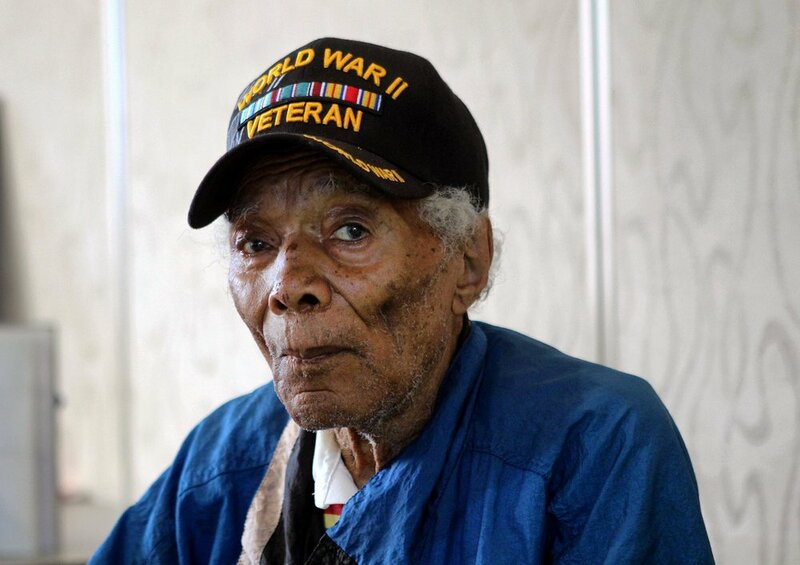 When Pearl Harbor was attacked on Dec. 7, 1941, Rev. 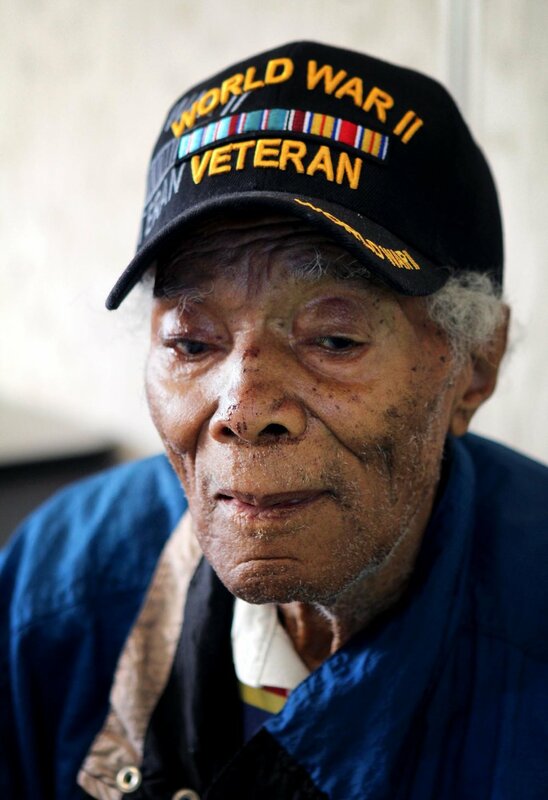 Hughes said he enlisted in the United States Army in Anniston, Ala. From there he was sent for training at Fort Jackson in South Carolina and served as part of the 28th Quartermasters in Africa and France during World War II. Rev. Hughes said he was part of a trucking outfit that moved supplies and troops through Europe. 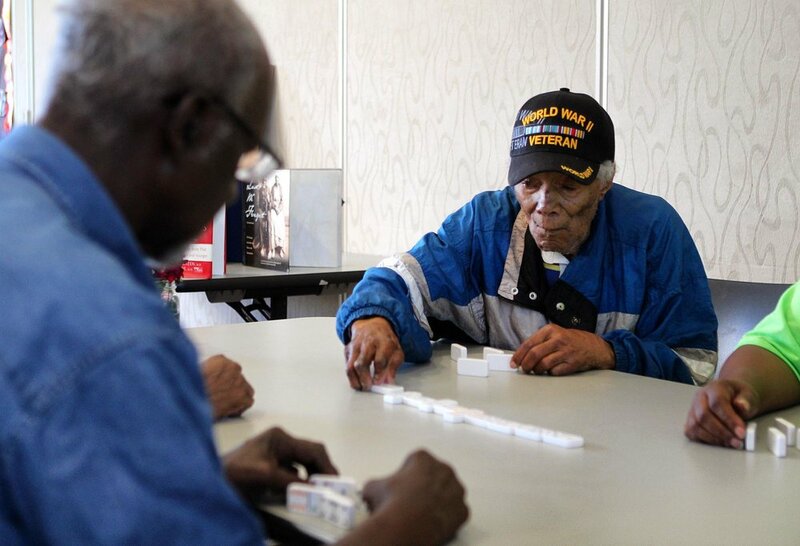 During his deployment, he said he played Dominoes as well as card games and continues to enjoy them today. In September 1944, the truck Rev. Hughes was traveling in, about 50 miles from Paris in the south of France, collided head-on with another truck. The vehicles caught fire and left him badly burned on the right side of his body. “They drive on the opposite side of the road then we do here” Hughes explained. He said he spent a year recovering in a hospital before being discharged from the military as a disabled veteran. Born in Eutaw, Ala., Rev. Hughes returned to the U.S. after his five years in the Army and lived with his family on land he and his father purchased in Tuscaloosa. He was married to his wife, Mable, for over 25 years until she passed in 1989. He still lives on that family land with his only child, Delitha White. He is a grandfather five times and has one great-granddaughter, three-year-old Tajjah Joi Watson who calls him Pop Pop. He worked as an associate pastor at Pleasant Grove Baptist Church in Tuscaloosa until about 2007 when he switched to be an associated minister at Deliverance Baptist Church, according to White. He plans to give the sermon the day before Memorial Day, Sunday, May 28, 2017, at Pleasant Grove Baptist Church.